The answer to the “what” comes in the form of a play never before been produced by the Festival, and only once produced in St. Louis’ 250-year history. 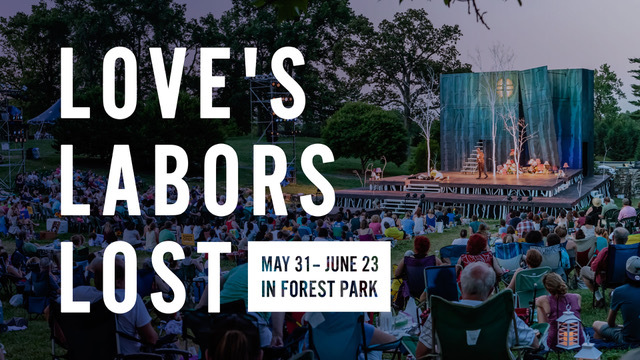 That production is the Bard’s Love’s Labors Lost, running May 21 through June 23 in the Shakespeare Glenn in Forest Park. The answer to the “where” question is similar to Love’s Labors Lost in that the Festival is tackling new projects through its Shakespeare in the Streets program, a grassroots theatrical experience that invites St. Louis neighborhoods to tell their stories. Shakespeare in the Streets programs has taken the Festival to many places around St. Louis – Old North, Clayton, Maplewood, Cherokee Street, The Grove, Downtown. 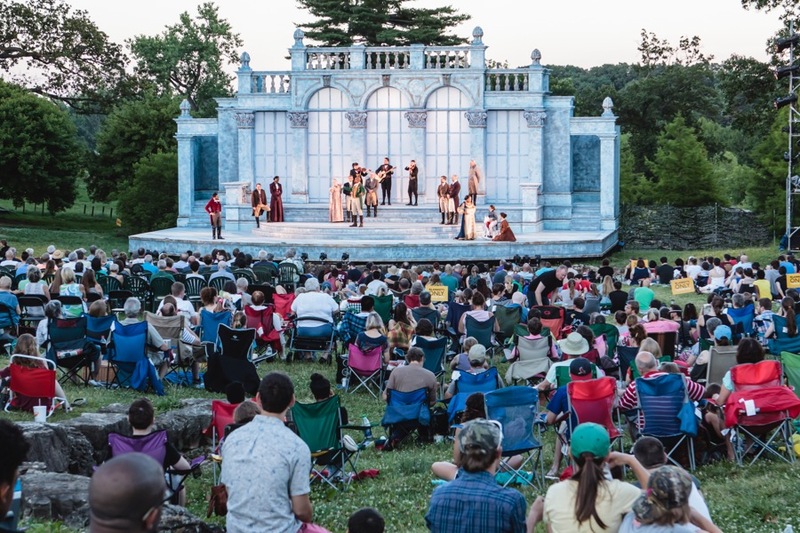 That is why Shakespeare Festival St. Louis has announced Shakespeare in the Streets will be an urban-rural exchange for 2019. The exchange will bring together students from Normandy Schools Collaborative in St. Louis County and students from Brussels in Calhoun County Ill. They will be working together and with Festival artists to create an original production. Although Shakespeare in the Streets addresses the urban-rural divide, Ridgely feels there’s an even larger separation in our country between communities and cultures, and it shows through productions and their stories. The bulk of productions have their world premiers in New York, Los Angeles, and Chicago. Ridgely wants St. Louis be part of that national and cultural conversation through the Confluence Regional Writers Project. “The project is a year-long experience for three emerging playwrights who live in the bi-state area. They’re working with Nancy Bell, who is our resident playwright and literary manager, to create new full-length plays the Festival will read in the fall,” Ridgely said. Ridgely said he hopes the project will create a new pipeline for work throughout the nation, stemming from Midwestern voices and points of view. The playwrights include Shaulee Cook, who has premiered her works at Chicago’s About Face Theatre, National Queer Theatre in New York, and was the resident playwright at Tesseract Theatre in St. Louis; Kristin Idaszak, a Chicago-based playwright, dramaturg, and the Artistic Director of Cloudgate Theatre; and Maria L. Richardson, who has been a part of the Black Repertory in St. Louis and Metro Theater Company. Her HBO/New Writers Project solo performance show, All That, has toured throughout the country. The playwrights will be joined by Carter Lewis, who teaches Introduction to Playwriting, Advanced Playwriting and Dramaturgy at Washington University in St. Louis. Prior to that, he was Resident Dramaturg & Playwright-in-Residence for The Geva Theatre Center in New York. The “why” is simple, according to Ridgely. To learn more about Shakespeare Festival St. Louis, go to www.sfstl.com.